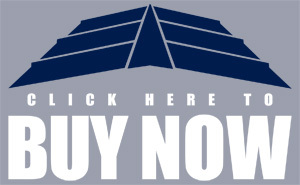 *See Optional Limited Lifetime Warranty information at the S-5! website. ColorGard is the only snow retention system good enough to be warranted for the life of the roof. Unlike other snow guards that yellow and fail over time, ColorGard’s unsurpassed holding strength controls snow migration with a perfect color-match that lasts the life of the roof. To help you and design a ColorGard system for your purposes, we invite you to try S-5! 's Web-based calculator. 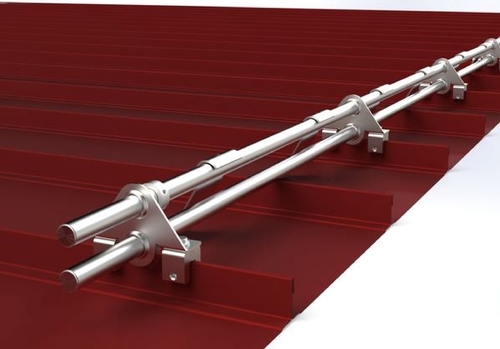 DualGard™ is the most versatile and reliable 1-inch, two-pipe snow retention system on the market for all standing seam roof applications. DualGard utilizes two patented S-5! mini clamps for extra strength versus other two-pipe systems. 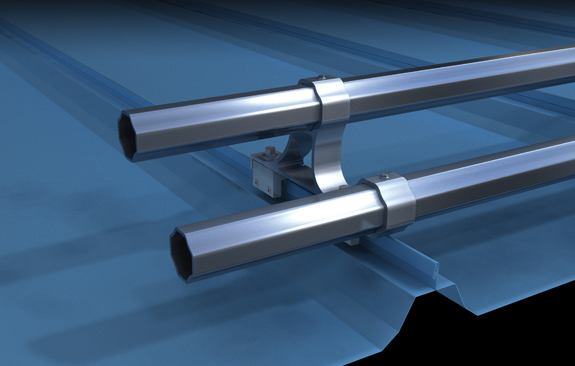 All DualGard components can be used with VersaGard™ and VersaGard™ V, offering a complete snow retention system for exposed fasten roofs. 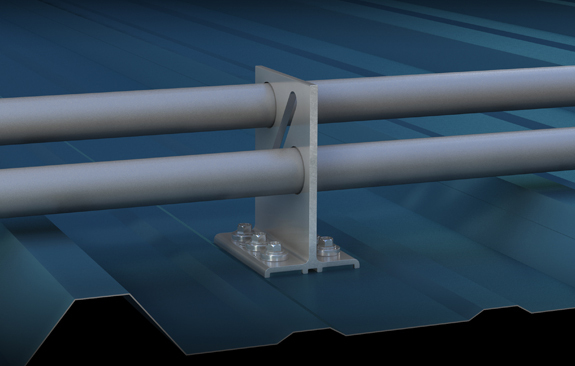 X-Gard is available in both one-pipe and two-pipe options. Both options allow for system spanning up to 48″ seams and both offer greater holding strength, better aesthetics, and longer service life than any other engineered pipe system on the market. 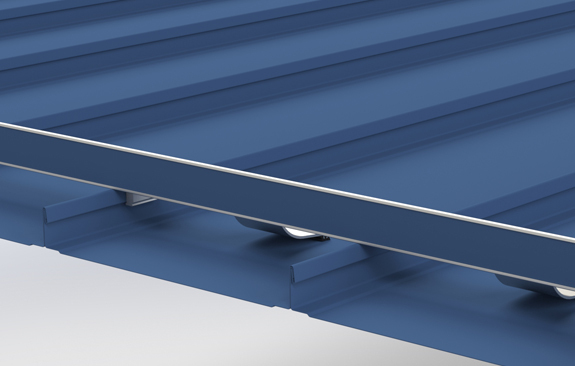 VersaGard is compatible with almost any trapezoidal, exposed-fastened profile. No messy sealants to apply! No chance for leaks! VersaGard comes with factory-applied butyl sealant already in the base, and the S-5! patented reservoir conceals the sealant from UV exposure, preventing drying and cracks.